What is Terramycin Ophthalmic Ointment? Terramycin is an ophthalmic antibiotic ointment to help fight eye infections such as conjunctivitis, inflamed cornea, pink eye, corneal ulcer, and inflammation of the eyelids. 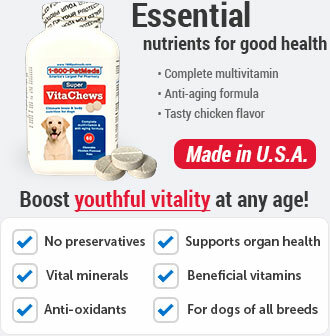 Terramycin requires a prescription from your veterinarian (California residents only). How does Terramycin Ophthalmic Ointment work? One of its main ingredients, oxytetracycline, works by blocking the ability of bacteria to produce proteins which helps them to grow and multiply. Do not touch the tube opening to any surface including eyes or hands. This medication may cause blurred vision. Avoid using other eye medications unless approved by your veterinarian. 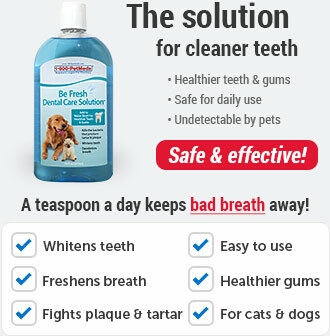 Prolonged use of this medication may result in a serious bacterial or fungal infection. What should I discuss with my veterinarian before using Terramycin Ophthalmic Ointment on my pet? 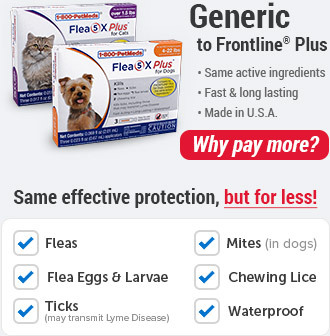 Tell your veterinarian if your pet is allergic to Polymyxin B, oxytetracycline, tetracycline, or doxycycline. 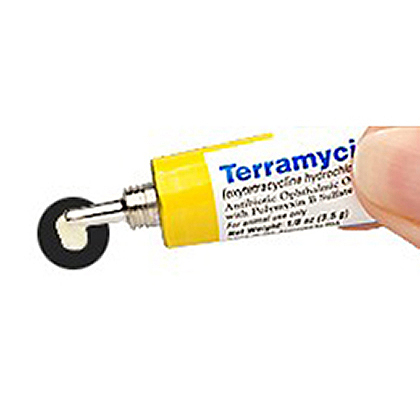 What is the most important information I should know about Terramycin Ophthalmic Ointment? 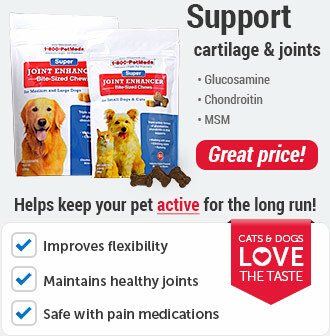 Terramycin Ophthalmic Ointment is FDA-approved for veterinary use in dogs, cats, and horses. Terramycin Ophthalmic Ointment is available over-the-counter, except in California where it requires a prescription. Terramycin is available as a sterile eye ointment. The sterile ointment is usually applied as a thin film to the inside of the eyelid 2 to 4 times a day. Contact your veterinarian if your pet's symptoms begin to get worse or if you do not see any improvement to your pet's condition after a few days. Do not touch the tube opening to any surface, including eyes and hands. The tube opening is sterile. If it becomes contaminated, it could cause an infection in the eye. What should I avoid while applying Terramycin Ophthalmic Ointment to my pet? Do not touch the tube opening to any surface including eyes or hands. This medication may cause blurred vision. Avoid using other eye medications unless approved by your veterinarian. Prolonged use of this medication may result in a more serious bacterial or fungal infection. What are the possible side effects of Terramycin Ophthalmic Ointment? Serious side effects are not expected. Some stinging may occur. 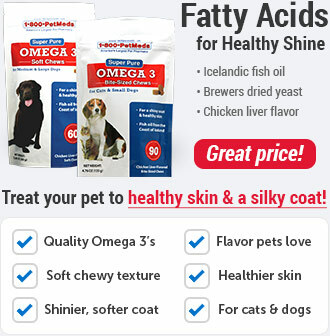 Fatal allergic reactions in cats may occur. Contact your veterinarian or veterinary emergency room immediately if your cat has swelling of the face, itching, or appears to have difficulty breathing. 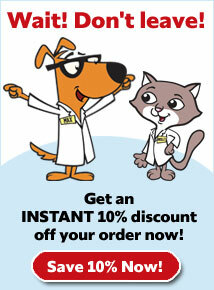 Talk to your veterinarian about any other side effects that seems unusual or bothersome to your pet. NOTE: The use of oxytetracycline and other antibiotics may result in an overgrowth of resistant organisms such as Monilia, staphylococci, and other species of bacteria. If new infections due to nonsensitive bacteria or fungi appear during therapy, appropriate measures should be taken. What other drugs will affect Terramycin Ophthalmic Ointment? Before using Terramycin Ophthalmic Ointment, tell your veterinarian if your pet is using other eye medications. Drugs other than those listed may also interact with Terramycin Ophthalmic Ointment. Talk to your veterinarian or pharmacist before giving any prescription or over-the-counter medicines. 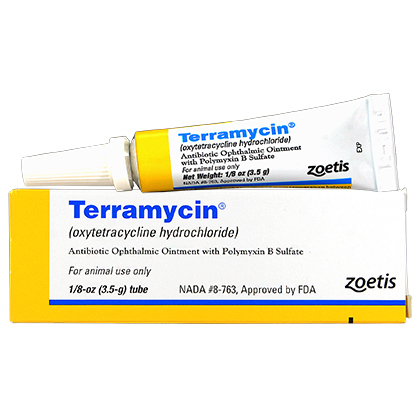 Terramycin Ophthalmic Ointment, a sterile antibiotic ointment used in dogs, cats, and horses (prescription-required in California), provides dual antibiotic activity to fight bacterial infections such as conjunctivitis, inflamed cornea, pink eye, corneal ulcer, and inflammation of the eyelids. Do not touch the tube opening to any surface, including hands and eyes. The tube opening is sterile. If it becomes contaminated, it could cause an infection of the eye. Store Terramycin Ophthalmic Ointment at room temperature 68°-70°F (20°-25°C) with excursions between 59°-86°F (15°-30°C), away from moisture and heat. Keep the tube properly capped.